These contractors are not driven by a masters degree on how to make money, in fact what attracts us to them is the strong ethical and moral standing that sets them apart in other industries. **CrawlSpace Concepts of Michigan is in no way affiliated with CrawlSpace Concepts in NC. We take our customer care very seriously. While our aim is to make our website easy to understand, and navigate we know there are times when you may need a bit of assistance. 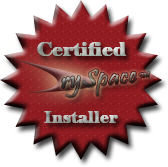 Copyright © 2009 CrawlSpace Concepts LLC All Rights Reserved.